Relational Undercurrents: Contemporary Art from the Caribbean Archipelago, currently exhibited by the Museum of Latin American Art (MOLAA) in Long Beach, California, offers an unprecedented look at the artistic manifestations of the insular Caribbean, a region of the Americas that is difficult to categorize and often overlooked. Curated by the Venezuelan researcher, academic and Doctor in Art History Tatiana Flores, the exhibition proposes an «archipelago model», which defines the Caribbean from the perspective of its archipelago of islands, in contrast to the continental experience, to study problems about race, history, the legacy of colonialism and the environment. 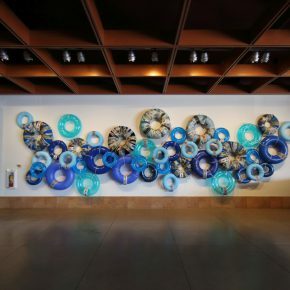 The exhibition –whose opening coincided with the recent hurricanes in the Caribbean-, features 80 Spanish-speaking, English-speaking, Francophone and Dutch-speaking Caribbean artists, emphasizing the thematic continuities of art in the archipelago and its diasporas, challenging conceptual boundaries and geographical areas of Latin America. 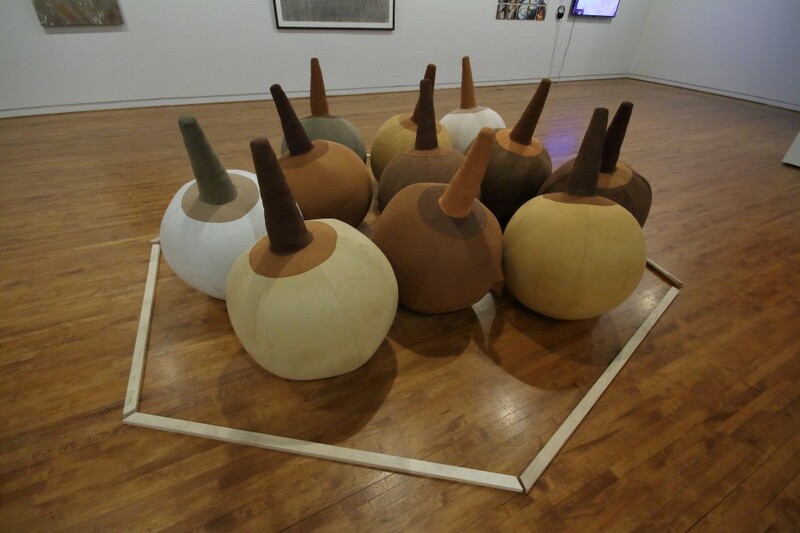 This approach emphasizes issues arising from the colonial legacy that are relevant to Latin America as a whole, but which emerge as a central theme for the work of 21st century Caribbean artists such as Janine Antoni (Bahamas), Humberto Díaz (Cuba), Jorge Pineda (Dominican Republic) and Allora & Calzadilla (Puerto Rico). We talked with Tatiana Flores about the research and thematic lines of this show, which is part of Pacific Standard Time: LA / LA, the initiative of the Getty Foundation that brings together more than 70 cultural institutions to carry out an ambitious and powerful exploration of Latin and Latin American art that converges in Los Angeles. 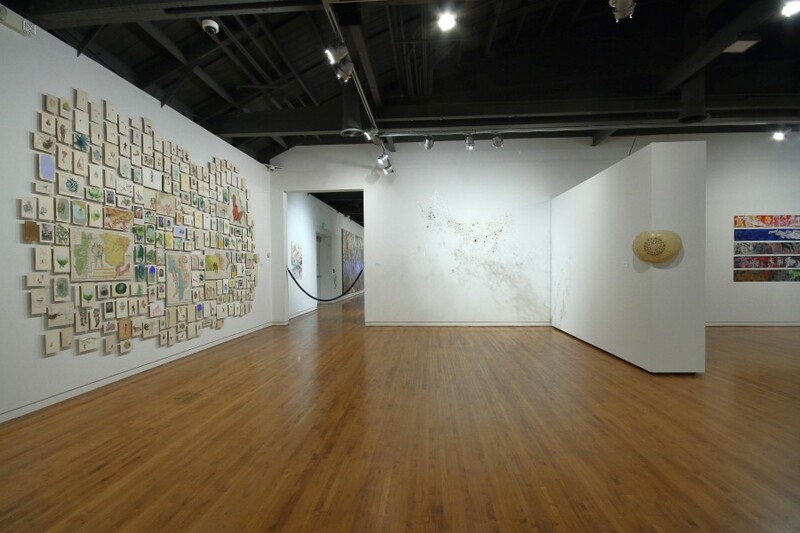 Florencia San Martín: In an interview discussing Relational Undercurrents, Jacqueline Bishop, a Jamaican artist and poet who has addressed the theme of natural disasters in her work, began by making reference to the recent hurricanes that bookended the opening of the exhibition. You mentioned that artists had been severely impacted -such as David Gumbs, from St. Martin, who volunteered to provide hurricane relief to Puerto Rican artists stranded in Los Angeles after the opening-, by remarking: “As such, the exhibition became pregnant with a lot of the issues involving the environment and we all got to see the vulnerability of island spaces -a theme in the exhibition- play out right before our very eyes.” It’s just unavoidable, I think, to begin this interview once again by pointing out the recent disasters that are so dramatically affecting the Caribbean. Can you expand on this issue of “vulnerability” as a shared concern for the islands and for Latin America more broadly? Tatiana Flores: I’ve been thinking so much about that topic since we inaugurated the exhibition. 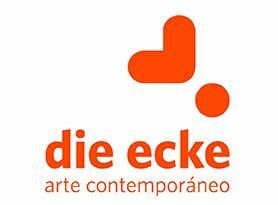 On the one hand, here is this beautiful show of contemporary Caribbean art, with over eighty artists and a stunning exhibition catalogue designed by Nancy Stem of Fresco Books and distributed by Duke University Press that fills up all of the galleries of the Museum of Latin American Art. Within PST: LA/LA, this is a major statement of recognition for the Caribbean in the context of a Latin American art initiative. Close to thirty artists came to the opening, and we were all very happy, triumphant, really. On the other, the hurricanes cast a shadow over the days leading up to and after the opening, and the exhibition will inevitably be associated with these devastating natural disasters. When I was thinking through the themes of the show, vulnerability for me meant the extermination of indigenous cultures on the islands, the impossibility of escape for the Africans brought as slaves, the culture of dependency wrought by colonialism, the challenge of economic sustainability for post-colonial societies, the necessity of migration, the threat to the environment, and the lack of recognition for the region and its artists. But who could have imagined that Barbuda would be so devastated as to be barely habitable? That Puerto Rico, a country with over three million people, could lose its entire electrical infrastructure? My colleague Yarimar Bonilla, a fellow professor at Rutgers University, made a perceptive statement about this in a recent op-ed for the Washington Post: “Vulnerability is not simply a product of natural conditions; it is a political state and a colonial condition.” I think the statement is relevant to all of Latin America. FSM: I loved the theoretical framework of the exhibition, centered in looking at contemporary artworks not through the lens of the “heterogeneity” and “fragmentation” of the Caribbean, which as you and Michelle A. Stephens mentioned in the first paragraph of the catalogue’s introduction, “has almost become a truism.”[i] And what follows in that same paragraph made me think that to a certain extent the opposite truism is valid as well, of the Caribbean islands as interchangeable -one long deserted turquoise beach with white sand and palm trees swaying in the breeze as imagined by the tourism industry. 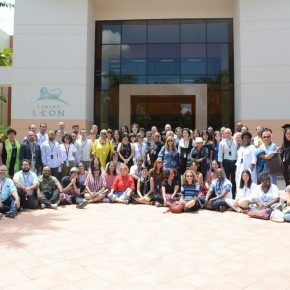 The Caribbean as a “vacation destination” [ii] avoids, obviously, for economic purposes, the “diversity” framework through which the Caribbean has been conceived by the social sciences and the humanities. But what is at stake here is that said “diversity”-colonial, ethnical, linguistic, and cultural-, as you argued, has also been problematized, which is not the same as denied, by scholars such as Édouard Glissant, Kamau Brathwaite, and Derek Walcott, who propose a reading of the Caribbean through its various shared experiences and interconnections. That is what Relational Undercurrents make visible through the framework of the archipelago, and thus through the insular Caribbean, geographically and conceptually, by means of a critical cartography, through which you and Stephens envision “archipelagic assemblages” and a “performative geography, one that deliberately imagines the connectivities of the region, connections that extend to include Caribbean diasporas on mainland shores.”[iii] Could you expand more on this idea of the archipelago as a lens from which to read the Caribbean islands and bridge its insular spaces? TF: To answer this question, I should begin with the project’s intellectual genesis, although it is always hard to pinpoint a moment of origin. I am a continental Caribbean person myself, from Venezuela originally, although I have lived in the United States for much of my life. The Caribbean for me is a site of nostalgia. Growing up away from Venezuela, memories of the sea were the most potent, along with a yearning for my extended family. As an undergraduate at Columbia University, I came across the work of Derek Walcott through David Damrosch, a renowned professor of world literature who became my thesis adviser. I wrote on Walcott’s epic poem Omeros, the most inspiring and affecting work of literature I had ever read. It is a contemporary take on the Odyssey through the lives of fishermen and their communities on the island of St. Lucia. I did not return to scholarship on the Caribbean until more than a decade later. Art history around Latin America was still in its infancy in U.S. academia when I began my graduate studies, and the Caribbean was almost non-existent in that intellectual space. I joined the faculty in Art History at Rutgers in 2007 with a joint appointment in the Department of Latino and Caribbean Studies. Rutgers is unique in having a department focused on U.S. Latinos and the Caribbean but not Latin America. In this way, it is framed around sites of decolonial thinking as theorized by Walter Mignolo. In his view, Latin America is profoundly Eurocentric, but the Caribbean and the Latino diaspora in the United States model themselves differently. Through a hiring initiative focused on Caribbean Studies, Michelle Stephens and Nelson Maldonado-Torres joined the Rutgers faculty. They spearheaded a program in critical Caribbean Studies in 2011, which is today called the Rutgers Advanced Institute for Critical Caribbean Studies (RAICCS). RAICCS emphasizes four avenues of research, among them “Archipelagic Studies and Creolization,” whose aim is to “propos[e] new theoretical approaches for the study of political and cultural developments” in the region. When the opportunity to curate this exhibition came up, I invited Michelle Stephens to serve as a formal adviser to the project and as co-editor of the catalogue. She was at the time leading a year-long seminar with another Rutgers colleague, Yolanda Martínez-San Miguel, around the topic of archipelagos that addressed archipelagic studies as a methodology through which to explore different disciplines. Whereas Stephens brought her archipelagic expertise to the project, I brought my critical engagement with the field of Latin American art. An archipelagic methodology does not have to focus exclusively on islands, but to me the insular geography was fundamental as a corrective to the continental bias that informed the conceptual borders of Latin America. Defining a Caribbean geography exclusively around islands challenged both the field of Latin American studies, with its continental focus and its tendency to downplay the African experience in the region, as well as the field of Caribbean studies, where the African diaspora narrative predominates, but which also treats these spaces as a blank slate, attributing island characteristics to all the territories in its purview and thereby nullifying the enduring indigenous groups the populate the Caribbean’s continental coasts. An archipelagic approach seeks relations between the regions it defines and also opens itself up to the diasporas precisely through the critical cartography that you mention. Perhaps the most appealing aspect of the archipelagic to me is the ways it unlocks up new spaces of inquiry that do not depend on or adhere to imposed geographies. As such, an archipelagic methodology is intrinsically a decolonial project. FSM: If I understood correctly, you propose to read the Caribbean archipelago, that is, a Caribbean with “shared experiences” that go beyond colonial, linguistic, cultural, and ethnic histories and practices, by identifying four major themes, which are the thematic sections organizing the exhibition. These are Conceptual Mappings, Perpetual Horizons, Landscape Ecologies, and Representational Acts. How did you arrive at these themes, and what commonalities are they addressing? And, are the four of them, as the archipelago, also connected to each other? TF: Relational Undercurrents emphasizes continuity over fragmentation and clarity over cacophony. 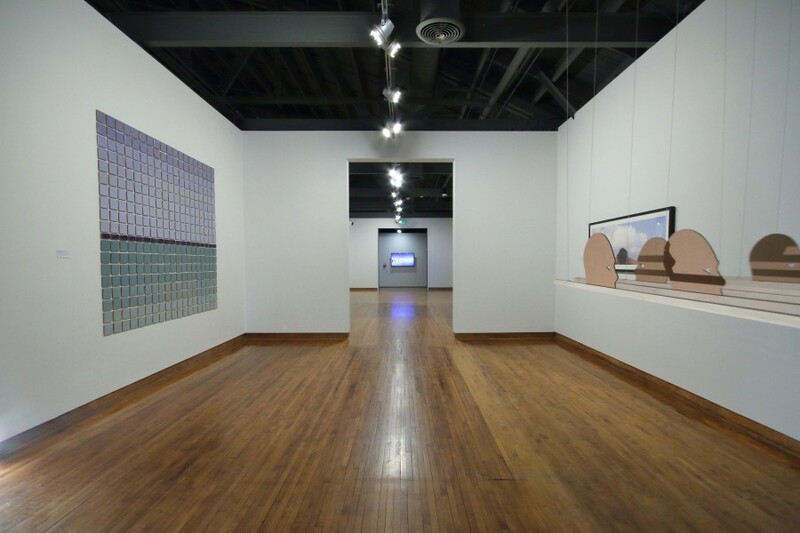 The four themes of the show were developed to underscore regional commonalities as they manifest in the visual arts. They came about through dialogues with artists and with Michelle Stephens. 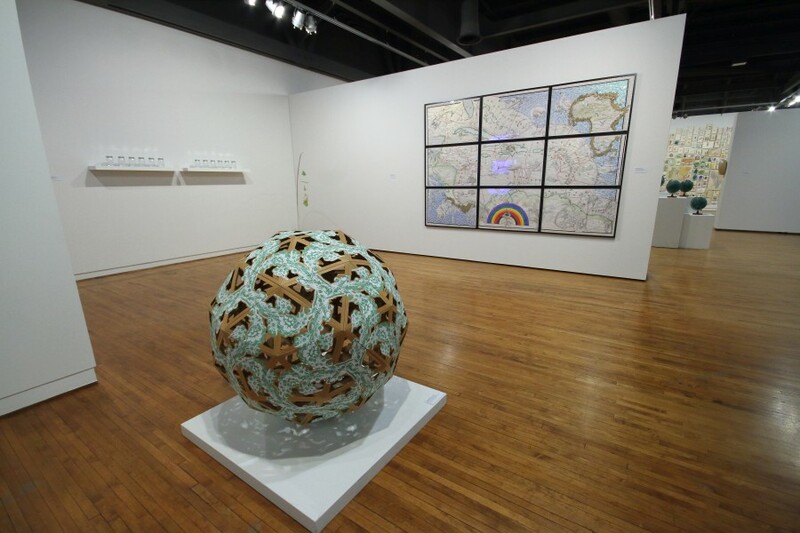 “Conceptual Mappings” was crucial as the section that introduced the show because it featured work that was archipelagic in nature, which underscored processes of counter mapping: reframing different paradigms, plotting new points of connection, and imagining and creating new coordinates. 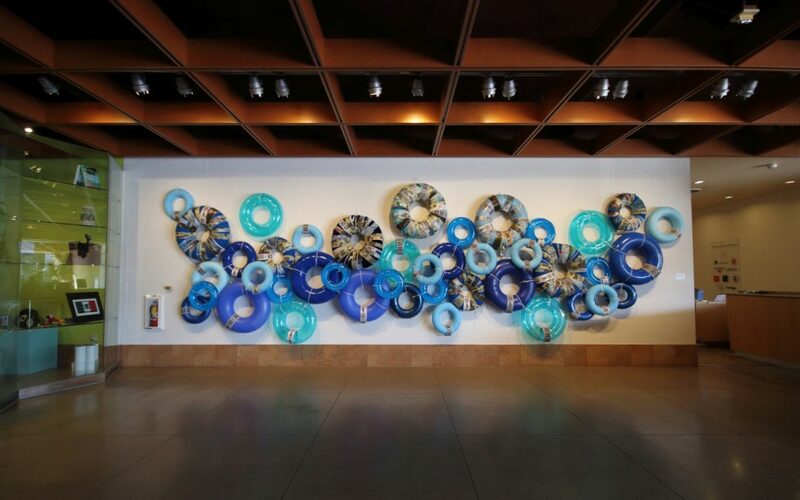 The work of Nayda Collazo-Llorens, an artist from Puerto Rico for whom “imagined connectivities” are tantamount, was crucial to my thinking. Firelei Báez, Ewan Atkinson, and Juana Valdes, whose work deconstructs the colonialist map in utterly creative and distinct ways, also informed my early research. “Perpetual Horizons” draws attention to the horizon, one of the characteristic visual features of island geography, which emerges repeatedly as both a boundary and a threshold of possibilities. Whether the horizon is treated as a subject or incidentally, it signals a common experience. My engagement with the horizon was inspired by Tony Cruz, whose drawings call attention to the fact that the line that we identify as the horizon does not actually exist. 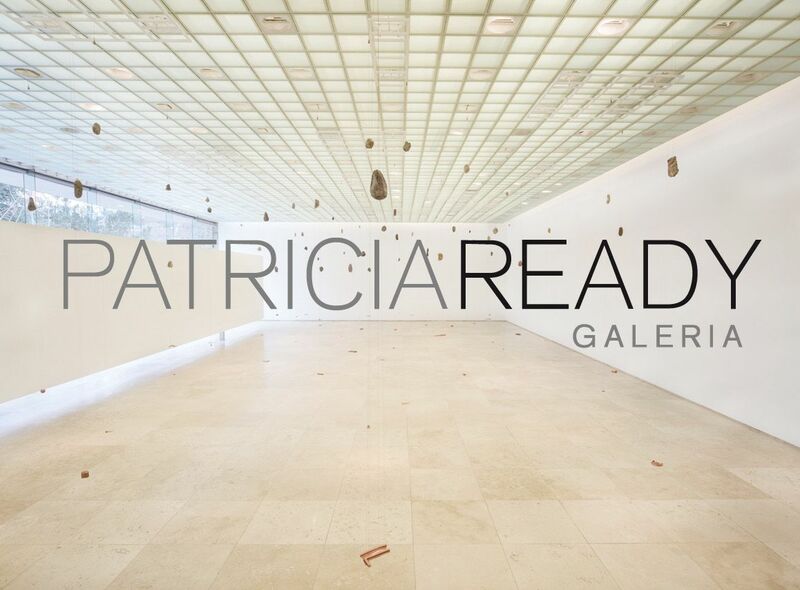 He is represented in the show by a stunning series of nine drawings on loan from the Colección Patricia Phelps de Cisneros. “Landscape Ecologies” considers the Caribbean as a region of shared ecosystems and habitats. 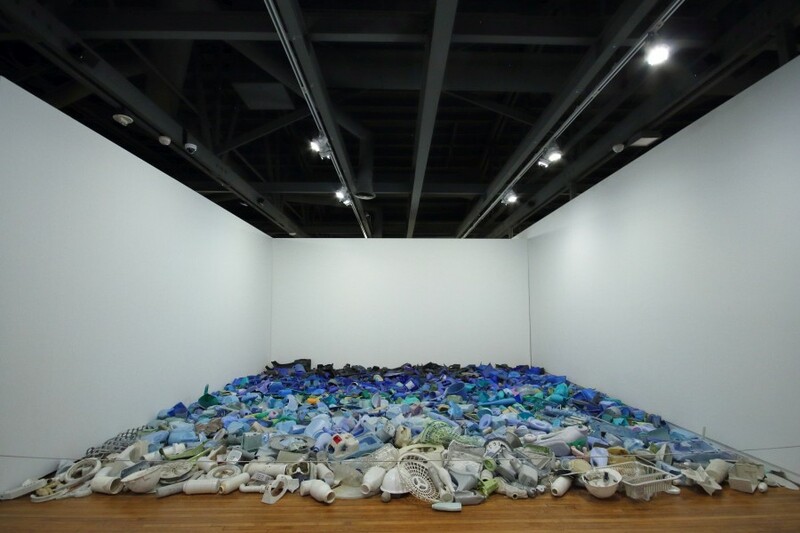 It is one of the show’s most emblematic section, featuring Mar invadido by Tony Capellán, a room-sized installation of sundry objects washed up by the sea arranged in gradient shades of blue, and powerful videos by Allora & Calzadilla. “Representational Acts” examines representation as an active process. As opposed to the mimetic function associated with representation in traditional art history, the artists whose works comprise this section regard representation in a political sense. The Caribbean cannot be dissociated from its colonial legacy, and, as a result, representation takes on added urgency. Artists here seize control of the instruments of representation as acts of resistance and enfranchisement. Many of the works center on the human body, attesting to the potential of figuration in contemporary art. Artists like Ebony G. Patterson, Jorge Pineda, and Sofía Gallisá Muriente, among others, create visually stunning works that underscore humanity while simultaneously meditating on the process of representation itself. 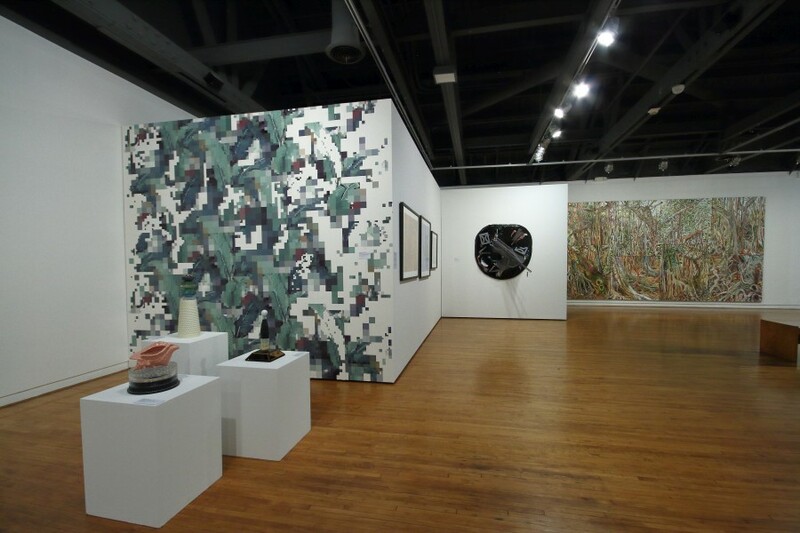 The four exhibition themes do connect to each other, and many works could be placed in more than one section. Christopher Cozier’s New Level Heads, which comments on rising sea levels and social relations through the sparsest of means, could fit into any of them. Cozier has been for me a crucial interlocutor on Caribbean art. We co-curated the exhibition Wrestling with the Image: Caribbean Interventions for the Art Museum of the Americas in Washington, DC in 2011, which was also an intellectual progenitor of Relational Undercurrents. FSM: Perhaps influenced by my own research, it seems to me that one important theme of the exhibition’s theoretical approach is the question of language, and thus the cultural and geographical inclusion, exclusion, or ambivalence between the two, of peoples and places in colonial and neocolonial narratives. 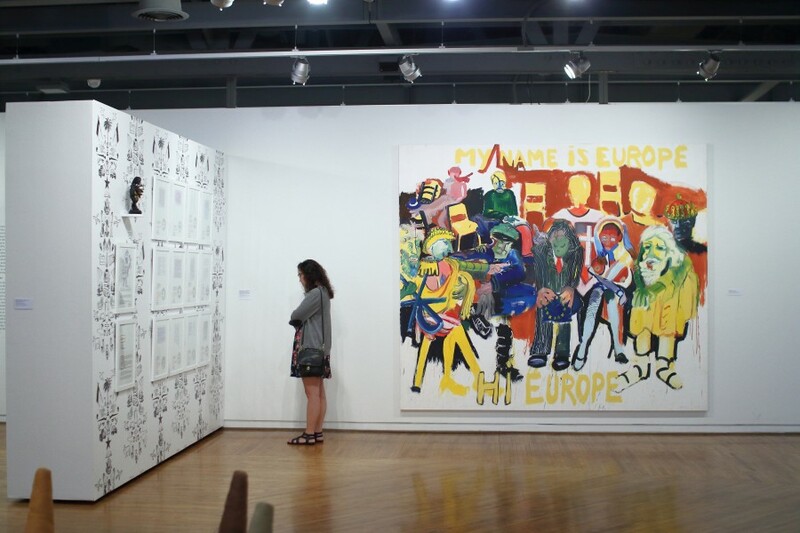 The problem of language; of naming, is not intended to be resolved in the works exhibited but rather noticed, and thought, as occurs in Karlo Andrei Ibarra’s Continental (2007-10). As you mention in the catalogue, Continental remembers a well-known preoccupation of Latin American activists, poets and artists striving to define the notion of America since the 19th century, as is famously visible in Jose Martí’s poetic manifesto, Nuestra América (“Our America”). Can you expand more on the issue of language in the exhibition, and on how this is also in dialogue, or not, with current debates in Latin American art? TF: Language has perhaps been the greatest impediment to a holistic reading of Caribbean culture, or, to be more precise, the multiple linguistic traditions of the region have hindered a comprehensive assessment of its cultural production. As Stephens and I wrote in the catalogue, by their very nature, “the visual arts are uniquely equipped to bridge the region’s language and cultural divides.” Literary scholars have a long tradition of seeking the “relational undercurrents” in the literature of the region, but it is admittedly a daunting task. In addition to dialogues with visual artists, literary criticism around the Caribbean has had a decisive influence on my thinking. Latin America has a deep respect for the literary, so this is an interesting point of comparison. Multiple literary critics have published surveys texts on Latin American literature, but art historians have tended to eschew such overarching narratives. But the very concept of “Our America” postulated by Martí or the category of “Latin American art” depends on an acceptance of the possibility of a common denominator, however this is identified. What an archipelagic approach teaches us is to use our agency to replot the maps that are constraining and to forge connections that propose more diverse, just, and complex forms of conceiving the world. [i] Tatiana Flores and Michelle A. Stephens, “Relational Undercurrents: Toward an Archipelagic Model of Insular Caribbean Art,” in Relational Undercurrents: Contemporary Art of the Caribbean Archipelago, ed. Tatiana Flores and Michelle (Durham: Duke University Press, 2017), 15. Nace en Santiago, en 1982. 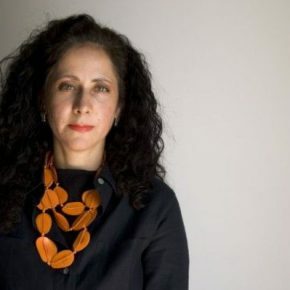 Es candidata a Doctora en Historia del Arte en la Universidad de Rutgers, donde se especializa en arte moderno y contemporáneo Latinoamericano y en historia de la fotografía. Es colaboradora de las revistas Art Nexus y Artishock, y se ha desempeñado como Profesora Adjunta Asistente del Departamento de Performing & Creative Arts de CSI / CUNY, Nueva York. Actualmente completa su disertación como Patricia and Phillip Frost Fellow en el Smithsonian American Art Museum, en Washington DC.